Cigars are synonymous with celebrations, recreation; business and having decent means. At the end of the day, cigars are a hobby rather than a habit. 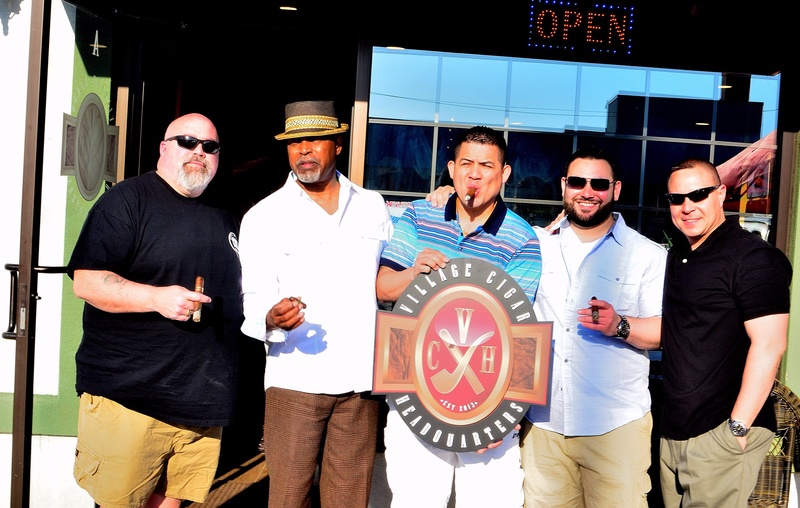 Last Saturday in Patchogue, enthusiasts and the Long Island Chapter of the BOTL showed up at Village Cigar Headquarters to sample a newer stick named Pura Soul Cigars. 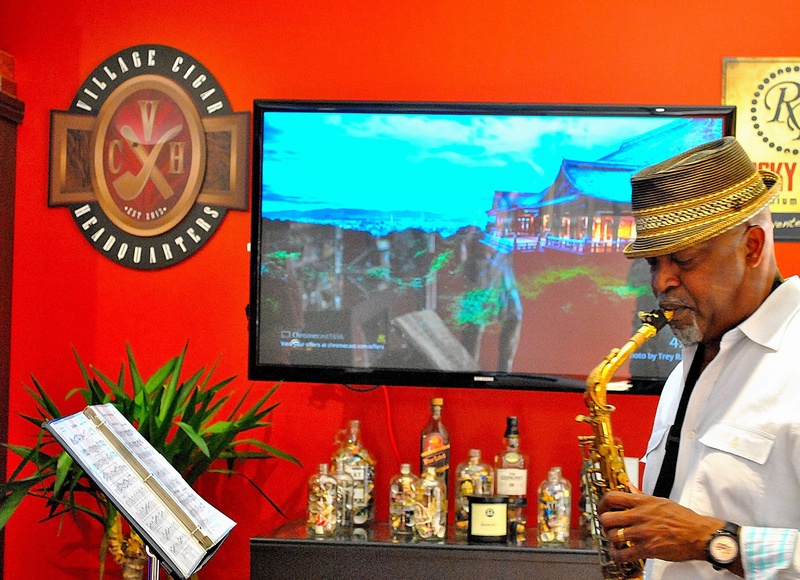 Chief Executive Officer of Pura Soul Robert Wright shook hands, told stories and even broke out his saxophone, engaging in jazz throughout the day. Wright’s entourage included Jerry Cogen of Select Brands International, who was offering samples of various fine cognacs. Between the smooth, live jazz, bottles of cognac and the fine heeled consumers, VCH was transformed into something more like a 1920s speakeasy. Onto the sticks. LIB Magazine has no interest in using an antiquated star or numerical systems. We care about three things. 2) Would I recommend it to a friend? 3) Would I smoke it again? 54 x 7 (the Big Boy). The Hondurans are a medium full cigar made in the Jamastran Valley. Pura Soul Hondurans have beautiful earthy tone with just a hint of a spice note. ​Did I like it? Yes I did. I like the green-banded Honduran more than the ​brown labeled Nicaraguan. This stick retails under 10 dollars, making it a ​better value than the Camacho Red Label. Would I recommend it to a friend? Well, understanding different palettes, this ​particular stick is not for everyone. I did, however, recommend the medium-bodied Nicaraguan to a friend that same day. Would I smoke it again? I already have! My best goto sticks as of now ​are Pura Soul Green, Espinosa’s Laranja Reserva and Montecristo New York. Both the spicy green label and well-balanced Nicaraguan are fabulous sticks; the only difference is an individual’s palette. 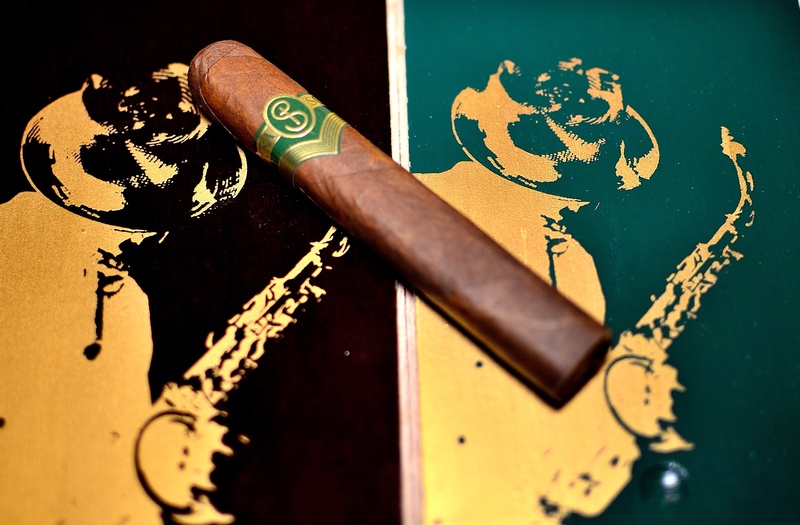 The Green Label cigar smokes like a torrid love affair with Sophia Vergara. 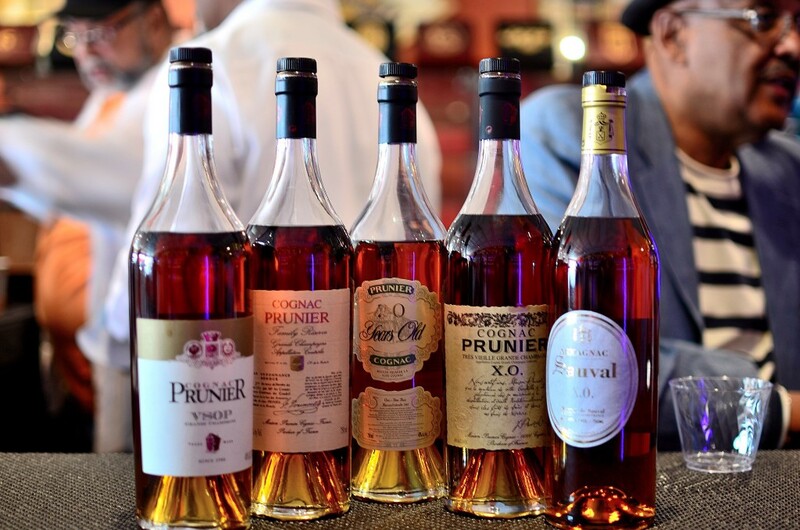 Select Brands International was pairing their renowned cognacs with the fabulous sticks, pouring Prunier V.S. (Very Special), V.S.O.P (Very Superior Old Pale), X.O. (Extra Old) and an Armagnac. I haven never been much of a cognac drinker, but maybe I should be. The aforementioned varieties were refreshing, sweet and delicious. The cognacs played very nice with the Pura Soul brand. Harmony is all things in rhythm. Saturday, rhythm was in the air.